Uber recently defended a clause in its user agreement that prohibits riders from filing class action lawsuits. Since 2016, Uber has made it harder and harder for riders to sue the company. 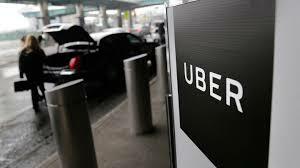 They have designed policies that aim to protect Uber and its interests from being liable from any accident involving the Uber driver, a passenger in an Uber ride, or another party injured from the negligence of an Uber driver. While Uber's policies are designed to protect it from personal injury lawsuits, it's bad for victims who were hurt in an Uber car wreck, because they're unable to file a lawsuit for their injuries. According to their recent policy update, (specifically the subsection “Limitation of Liability”), Uber will not be held liable for any damages, including personal injury or property damage, resulting from the negligence of Uber. Additionally, an individual using Uber agrees to hold “Uber and its affiliates…harmless from any and all claims, demands, losses, and liabilities." Uber defends these policy changes by saying riders have been given enough notice that they're waiving their right to sue the company, including their right to bring a class action lawsuit against the company. Arbitration is a method where issues are settled outside of court. In arbitration, instead of going to court, consumers pay fees to resolve their complaints in front of an arbitrator. The proceedings are similar to court proceedings, but they're private, less formal, and the award is decided by arbitrators, not judges. The arbitrator reviews evidence in the case and imposes a decision that is legally binding on both sides and enforceable in the courts. Uber has an arbitration clause in its contract. The notice requires all cases to be resolved with Uber on an individual basis through "final and binding arbitration." "By agreeing to the Terms, you agree that you are required to resolve any claim that you may have against Uber on an individual basis in arbitration, as set forth in this Arbitration Agreement. This will preclude you from bringing any class, collective, or representative action against Uber, and also preclude you from participating in or recovering relief under any current or future class, collective, consolidated, or representative action brought against Uber by someone else." Critics have recently spoken out against Uber's arbitration clause, claiming that Uber has attempted to obscure these terms by hiding them and making them unclear. Can You Still File a Lawsuit Against Uber? Even though the user contract states multiple limits in liabilities, these can be challenged and overturned in a court of law. This means that even while the policy is in place, if there is significant indemnification to a victim of a car accident, such as wrongful death or severe personal injury, then the party of the injured individual can file suit to demonstrate that Uber/their driver was driving in a way that purposely or recklessly placed the lives of the passengers in grave danger. There must be significant evidence from the victim's legal team to win such a suit. Should You Still Use Uber? Many popular companies (i.e. Apple, Samsung, Dell, etc.) have user contracts and laws that protect them from being liable in a lawsuit. Without user contracts, people could be suing companies left and right without any reasonable cause. On the other hand, using a service that has multiple legal contracts and clauses may post difficulties. It is important to review these statutes to understand the consequences in the event of a personal injury, and to know what steps you can (or cannot) take.